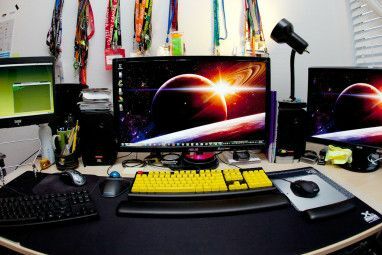 <firstimage=”//static.makeuseof.com/wp-content/uploads/2010/08/intro10.png” /> Wallpapers are easy to find and make How to Create Top Quality Computer Desktop Wallpapers How to Create Top Quality Computer Desktop Wallpapers Wallpapers are an excellent way to personalize your computer and making your own isn't as difficult as you might expect. Here's a simple step-by-step guide. Read More (even in MS Word Create Cool Desktop Wallpapers Quickly using Microsoft Word Create Cool Desktop Wallpapers Quickly using Microsoft Word Read More ) nowadays. If you’re the type to crave a new The Best Resources to Pimp Your Wallpaper The Best Resources to Pimp Your Wallpaper Read More desktop wallpaper every now and then, why not dress up your cursor as well since you probably use and see it more often? 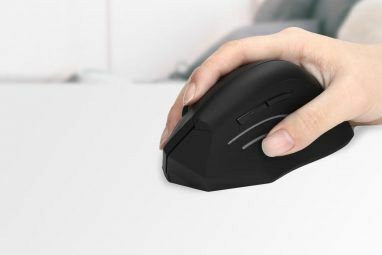 There’s been a few tools we can see from MakeUseOf’s Directory, such as TotallyFreeCursors, but as its libraries are huge, you can also save yourself some time from having to download them individually and install them the traditional way (by right-clicking on the desktop > Personalize > Mouse Pointers). Here are two tremendous (and free!) 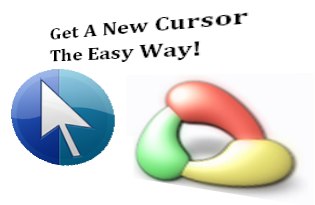 applications you can use to get some top quality cursors, as well as to create your own from images. CursorFX (which MakeUseOf has featured before along with other great desktop enhancers) has in all, 13 sets of vector-like cursors in a 14MB download file that you can obtain here. The installation goes without offering any optional toolbars, which is always a plus. Once you run the program, you’ll be greeted with the following cursor sets. Each set is a theme that you can use even without having the program running in the system tray. If you click on the magnifier icon, you can view additional icons for whenever the cursor’s busy, working in the background, etc. You can also customize each theme with the built-in cursor editor by clicking on the pencil icon. You’ll also be able to create cool new cursors from PNG image files by going to File > New or clicking on New Package back at the main CursorFX window, and then clicking on Import Graphics. The images might be imported in their original sizes. You can then move around the exact pointer and press Ctrl + E to save and apply the theme. 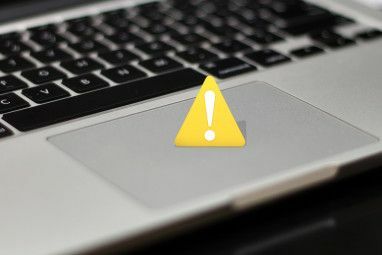 Even though you don’t need the program running and you’ll still have the cursor on system restart, you can’t end the process for CursorFX in the Task Manager, or else, your cursor will disappear. This means that if you’re uninstalling the program, in order to make the cursor appear again, you should right-click on the desktop > select Personalize, then click on Mouse Pointers. In the Mouse Properties dialog box, make sure you have the OK button selected so you can just finish the uninstallation and press Enter when the cursor disappears. At approximately 7MB, the installation file for RealWorld Cursor Editor is smaller than the one for CursorFX. Once you load the program, you will be presented with options to create a new cursor or make a cursor out of an image in PNG, JPG, BMP format (Create From File). What makes this program different from CursorFX is that this application offers a much more advanced cursor editor, complete with a color palette and layering features that users with artistic skills will find very much like GIMP 5 Websites to Learn GIMP Online 5 Websites to Learn GIMP Online Read More for cursors. Since MakeUseOf has a more detailed guide on creating your own cursor, we’ll talk about making a cursor from an image file here. If you’re choosing to create a cursor from a file, the image selected, unlike CursorFX, will be scaled down to a suitable cursor size (32 x 32), so you don’t need to resize any prospective images. On the right sidebar, you’ll see a box with the imported image, ready for you to position the pointer exactly at the top left of the image. You can also increase the size of the cursor by heading to Cursor in the menu bar and selecting Change Size. Once you’re satisfied with the results, press Ctrl + S or head to File in the menu bar and select Save as a static (.cur file) or an animated cursor (.ani) that you can select and apply in the Mouse Properties dialog box. Alternative, you can also try the new cursor out by going to Cursor > Use current for > Normal Select. As for prospective PNG image files to import into either program, you can find cool cursor images in icon search engines 8 Icon Search Engines for That Perfect Graphic Symbol 8 Icon Search Engines for That Perfect Graphic Symbol Read More such as FindIcons, Iconspedia Customize Your Computer with Cool Icons in Windows XP Customize Your Computer with Cool Icons in Windows XP Read More or IconsSearch. Where do you usually get your custom cursors from? Voice out in the comments! I use the RealWorld editor on my netbook, it works great! I'm glad you like it! I particularly like how you can make a .cur file out of any images so later on, if you decide to uninstall the application, you can still use the cursor! RealWorld editor is definitely a gem. Cursor FX worked just fine for me...........TKS................try that GEAR....cool!!! I'm sorry that happened to you, but thanks for posting this. It might be helpful to users whose computers don't have that much RAM.